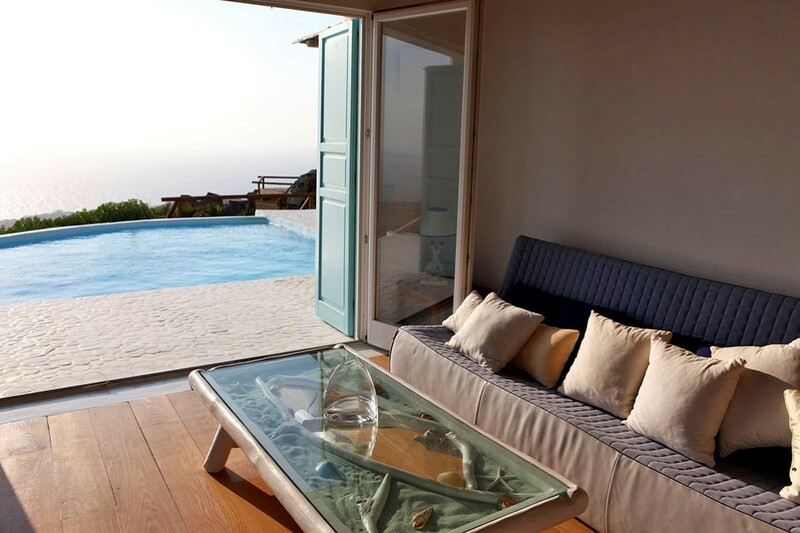 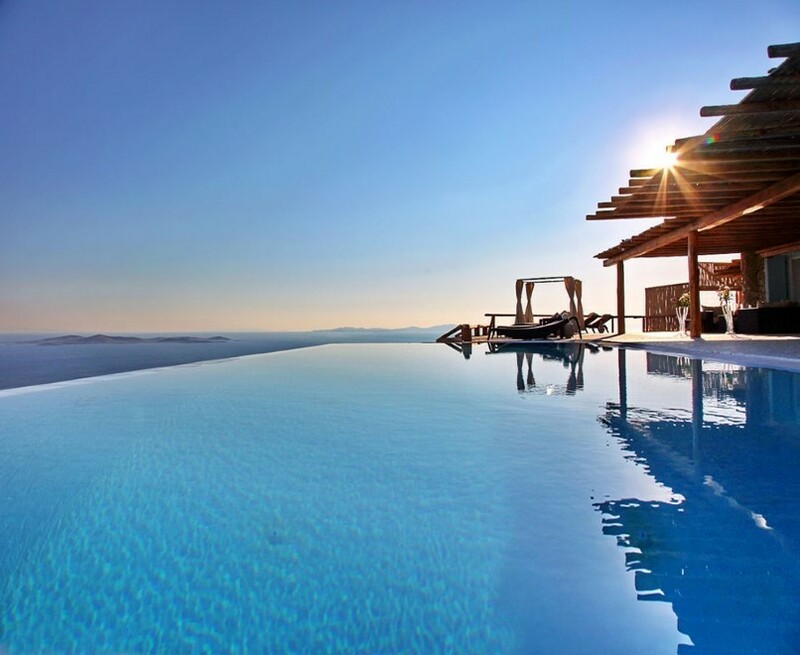 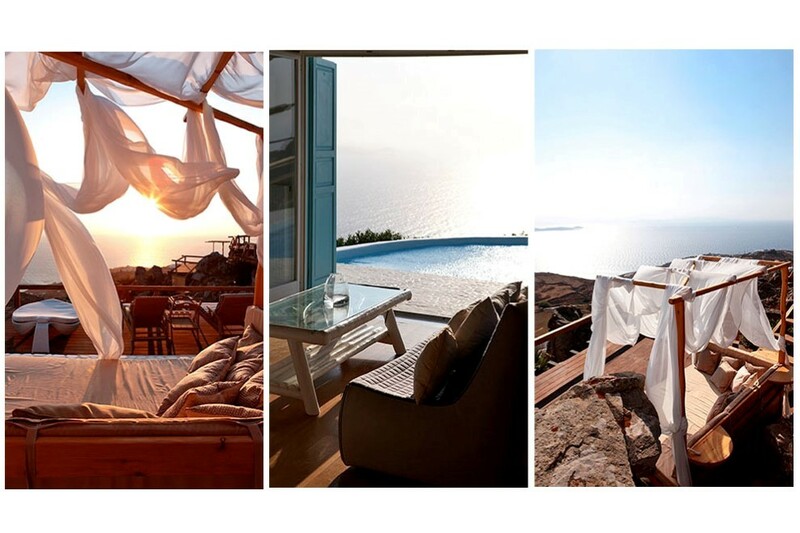 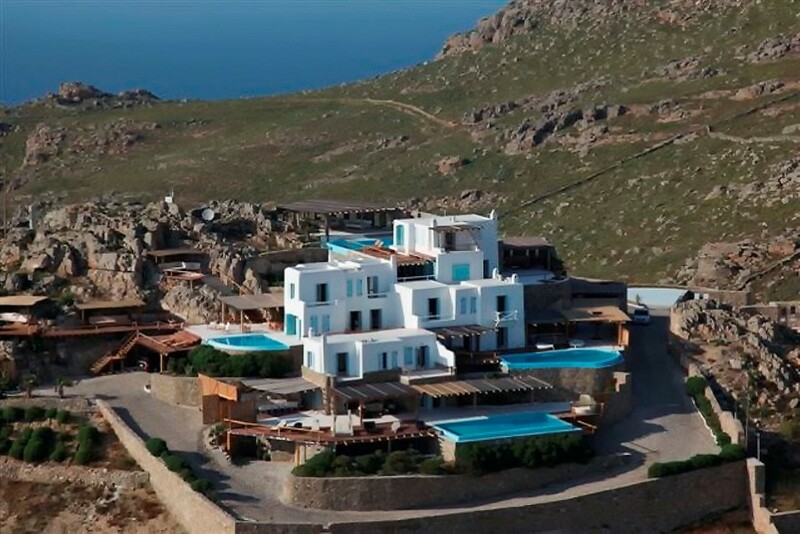 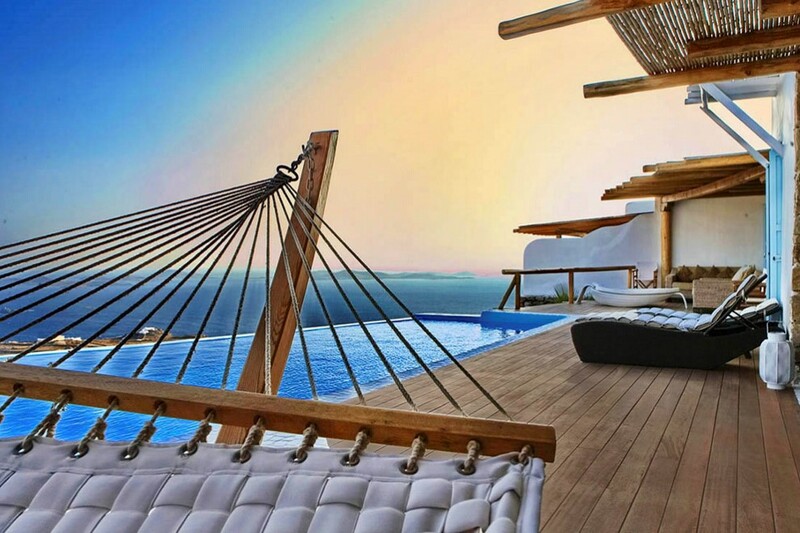 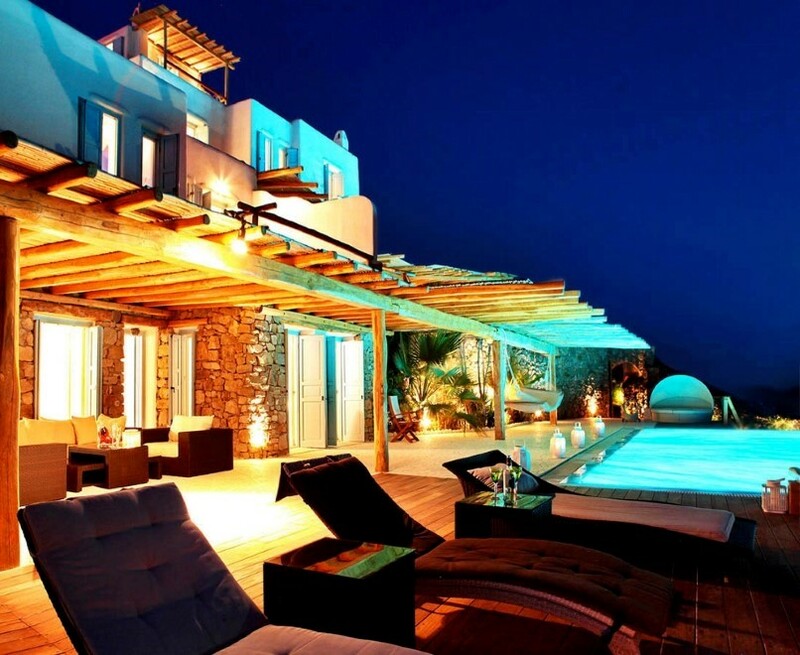 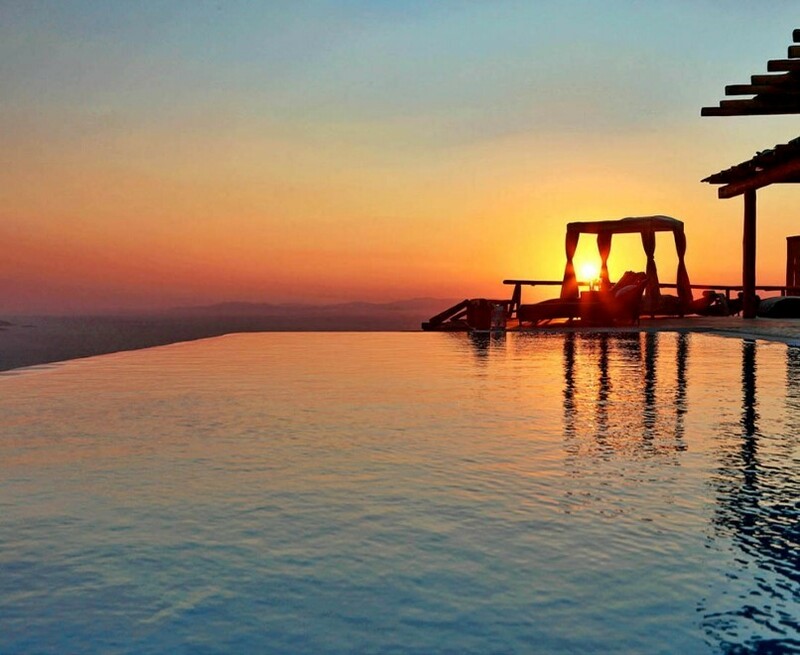 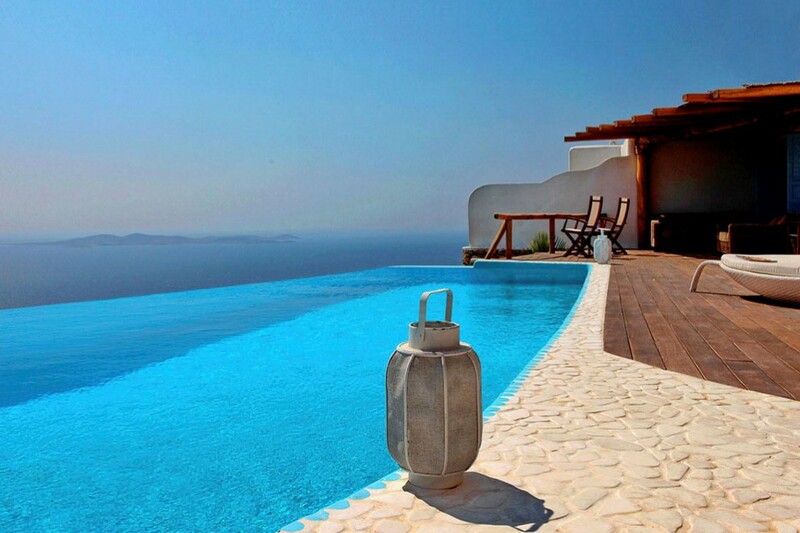 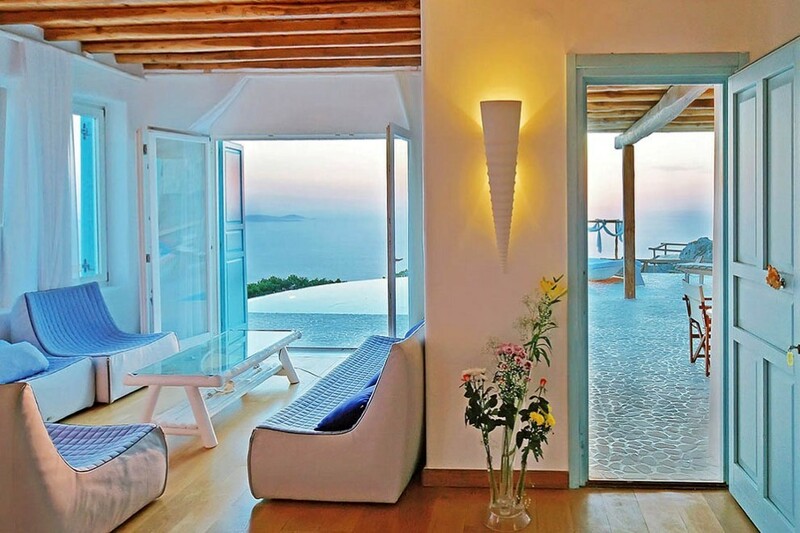 The luxurious newly constructed “Horizon” complex dominates on the top of a hill in the area of Fanari, enjoying the panoramic view produced by the combination of Mykonos Town, the ancient island of Delos and across to the islands of the Cyclades, Syros – Paros – Naxos – Tinos. 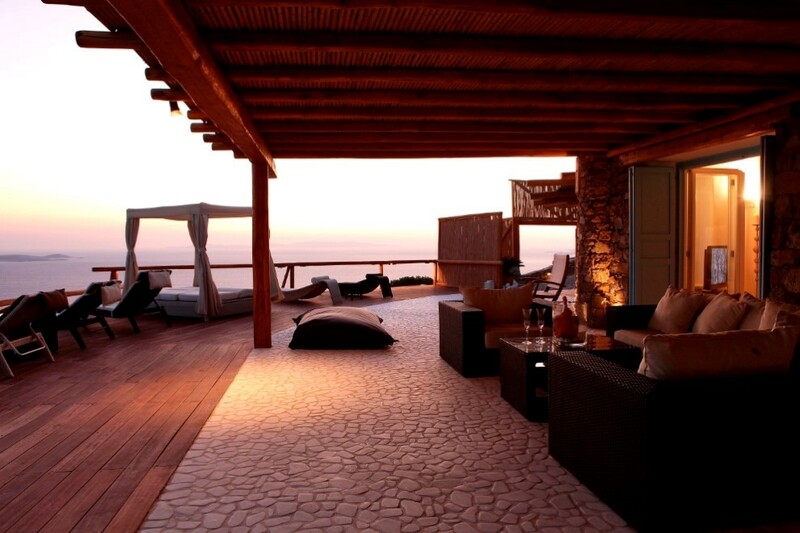 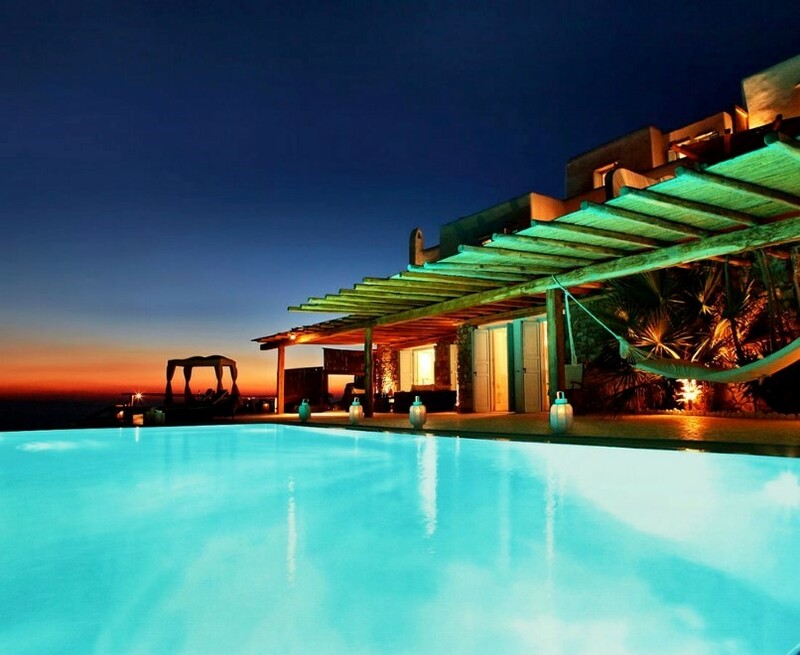 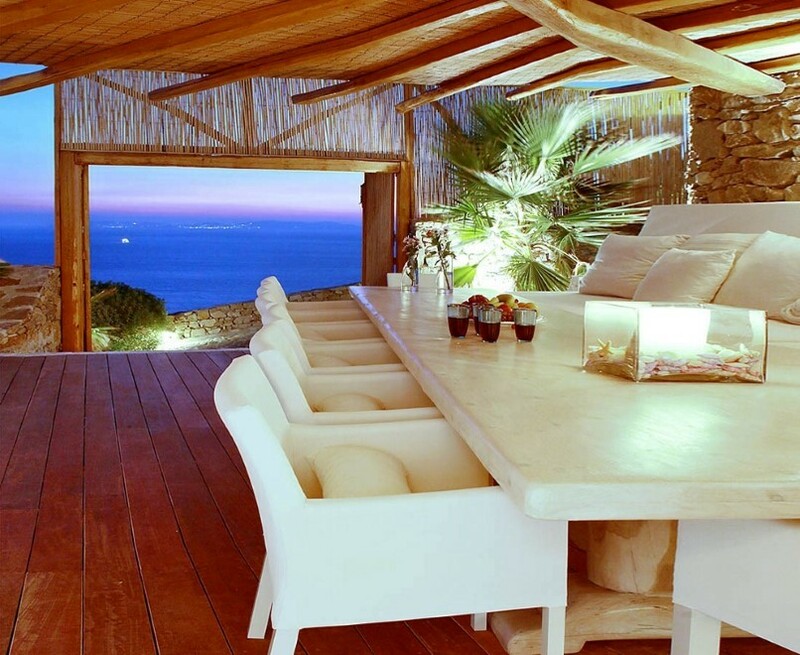 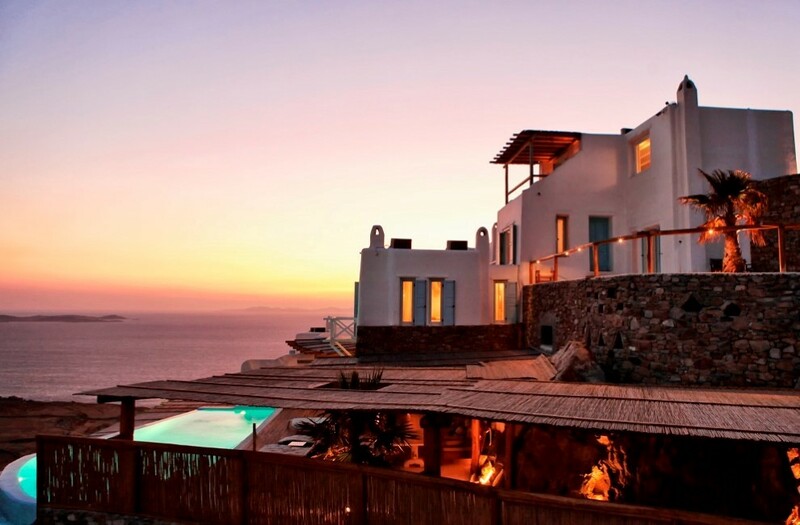 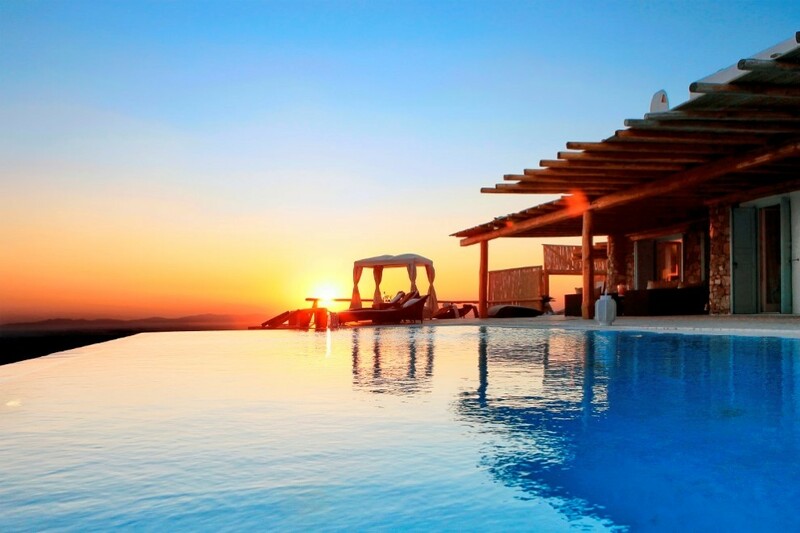 The view is spectacular in the evening hours when the sunset creates unique hues on the horizon, as well as at night when thousands of tiny lights twinkle in Mykonos Town, creating a romantic atmosphere. 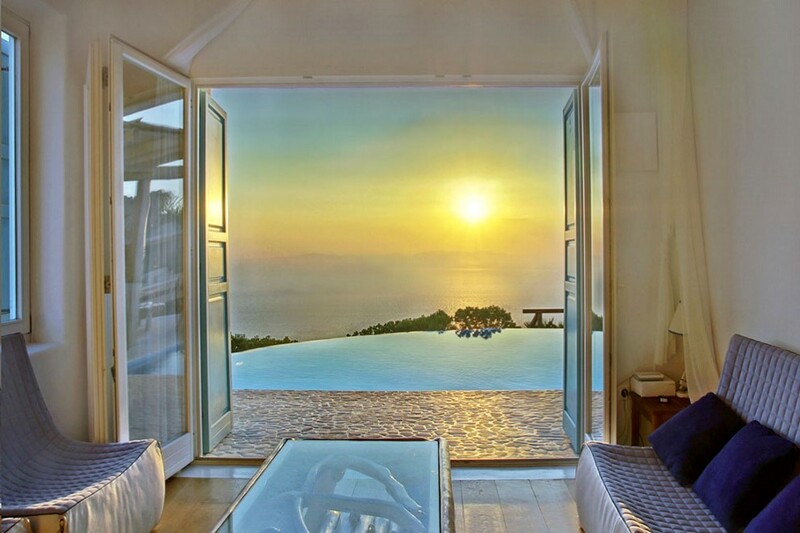 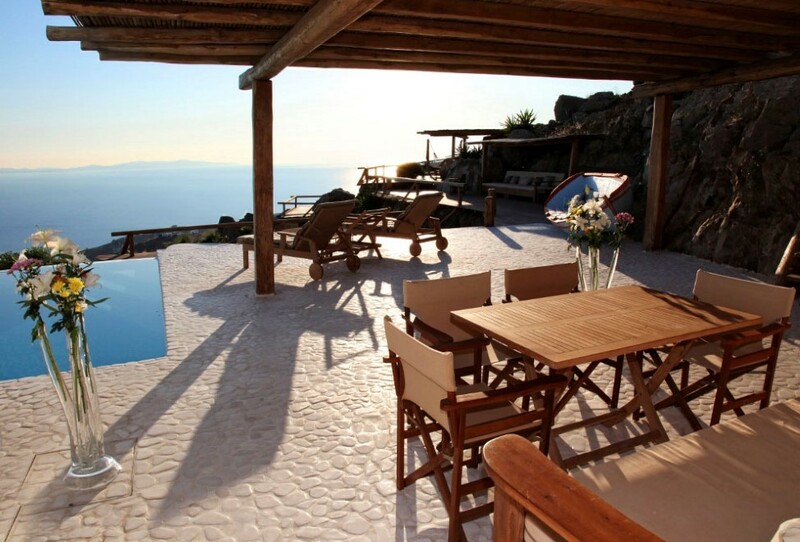 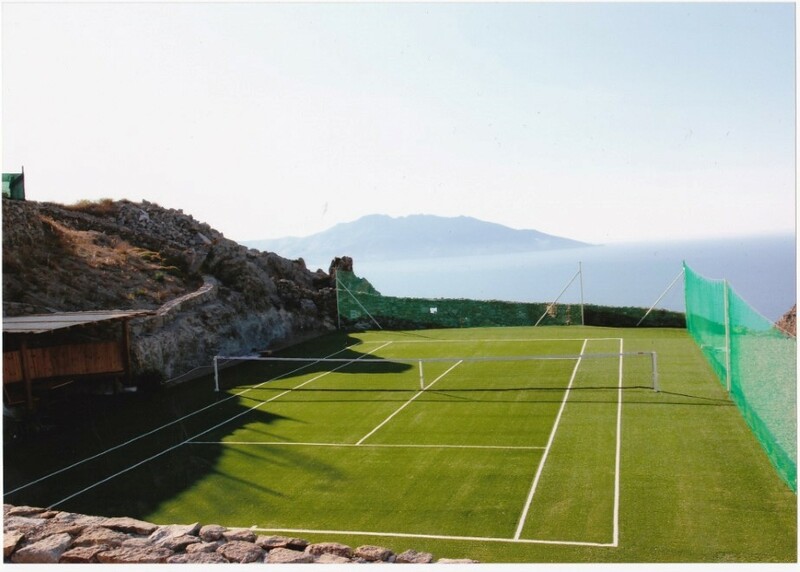 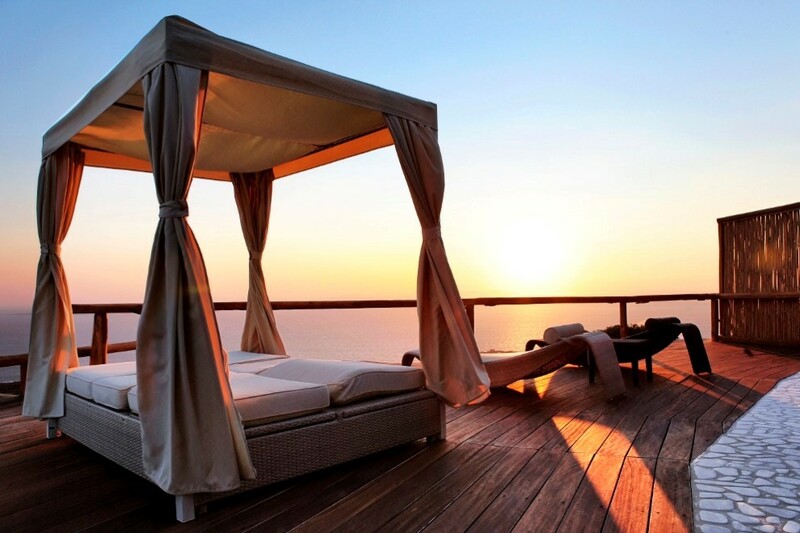 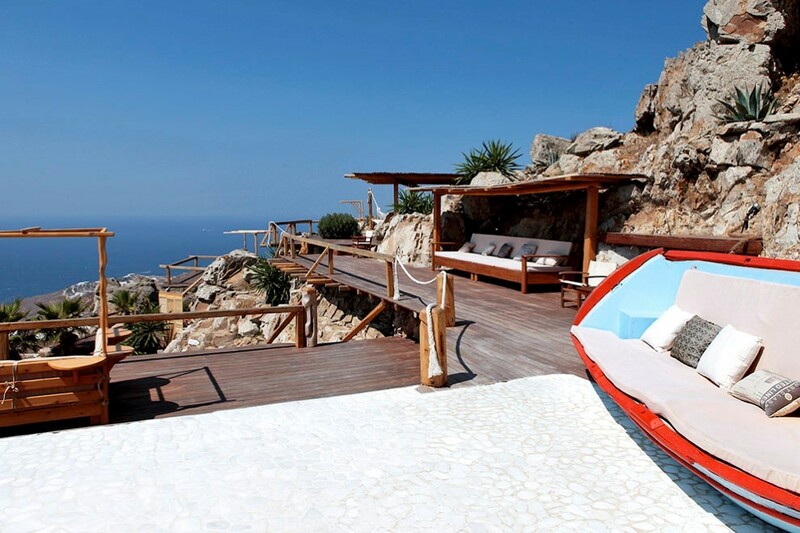 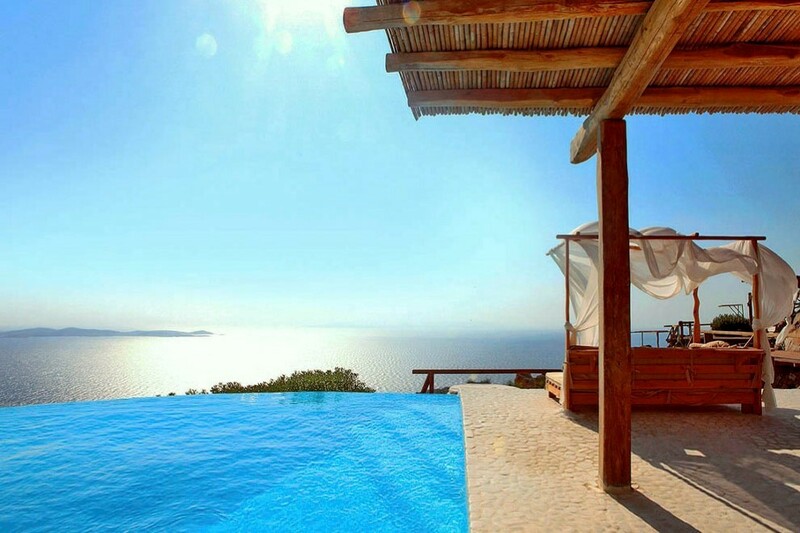 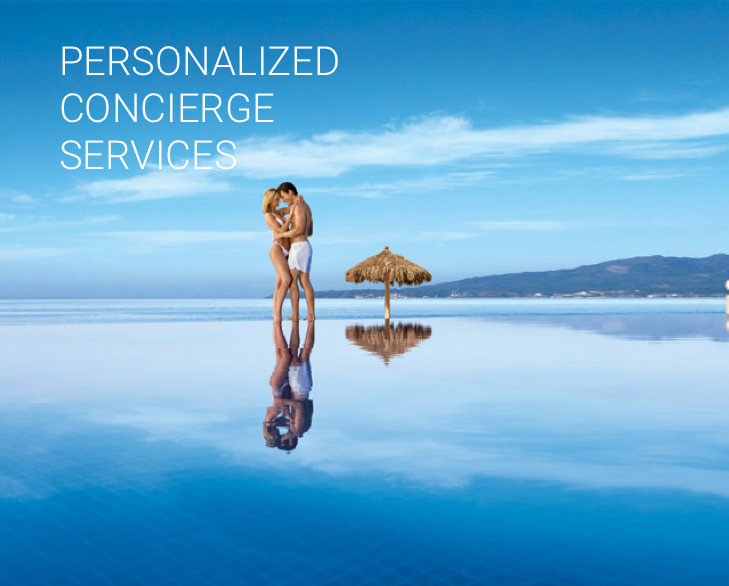 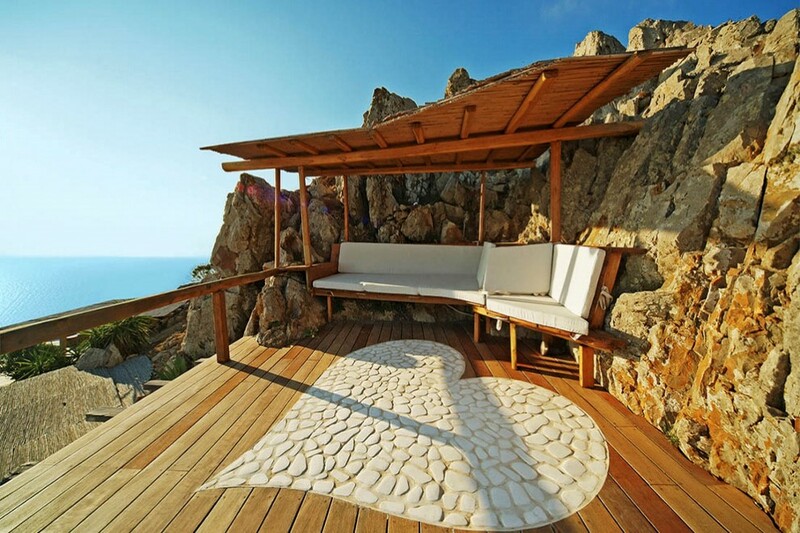 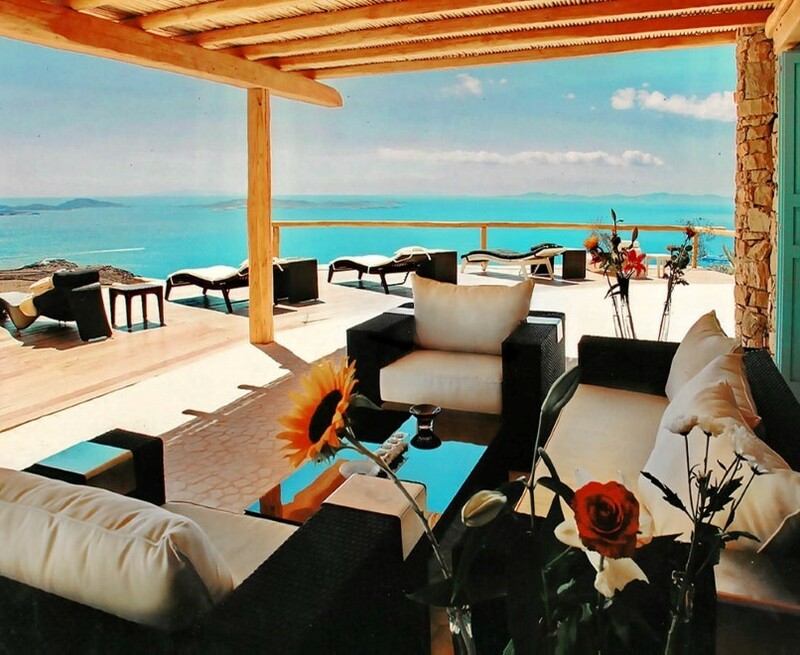 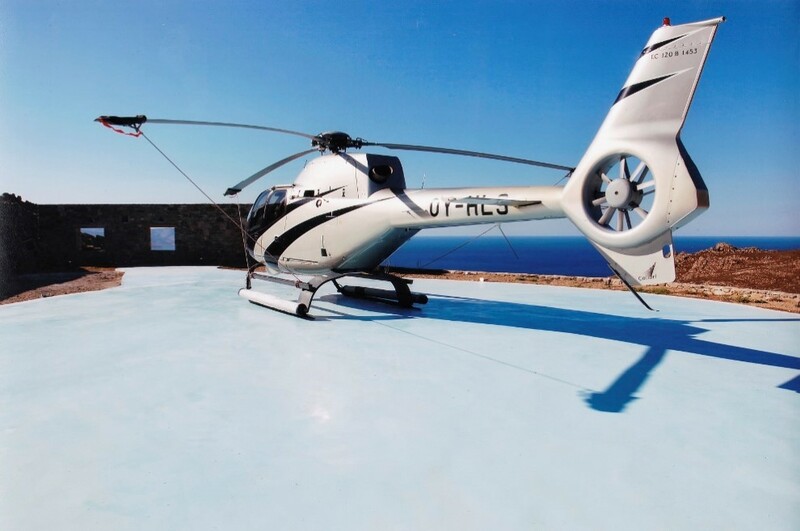 The complex consists of four independent luxurious villas and offers unique facilities, such as a tennis court, the use of a heliport, as well as top quality services from a permanent staff. 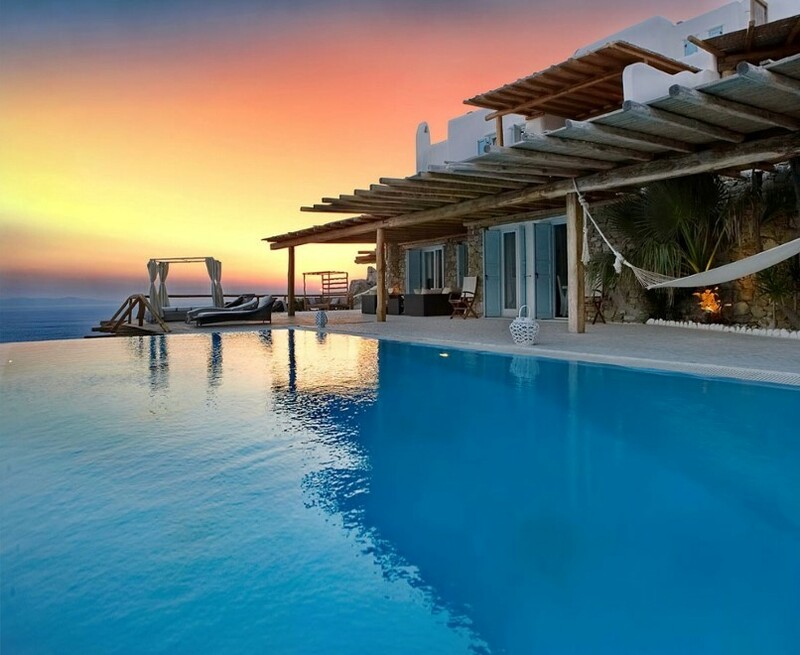 The sumptuous infinity pool stands out impressively in the spacious external area of villa “Horizon One” surrounded by palm-trees, hammocks, and outdoor seating furniture. 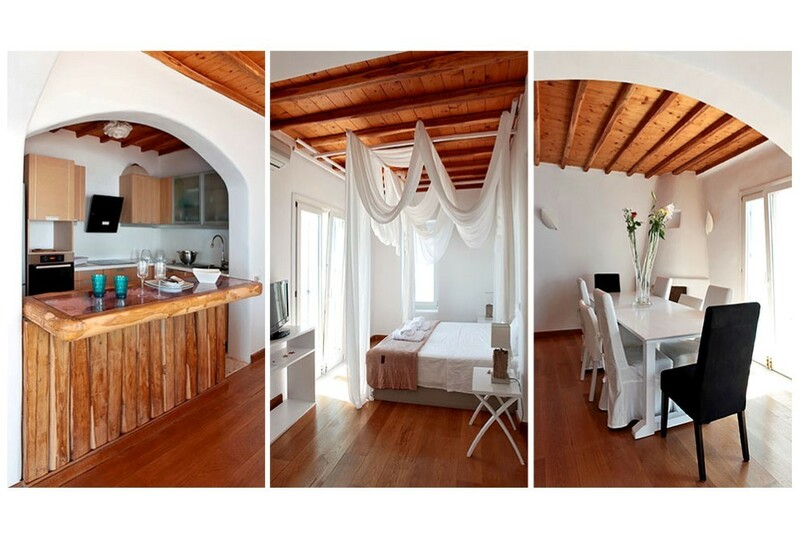 A few meters away is an impressively large, solid wood dining table under a pergola, which provides shade, as well as a large four-poster bed which can be curtained off for private moments. 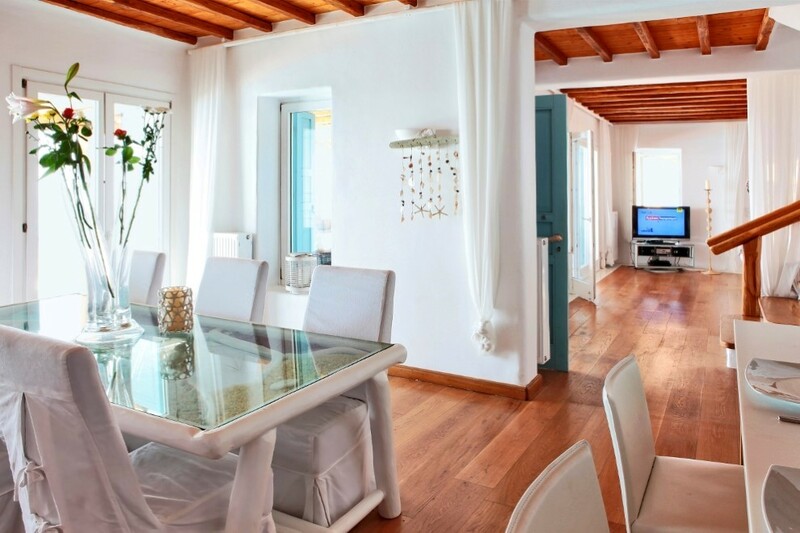 On the ground floor of villa “Horizon One” there is a comfortable living room along with a stately dining table and a fully equipped kitchen, both enjoying unlimited views and direct access to the grounds. 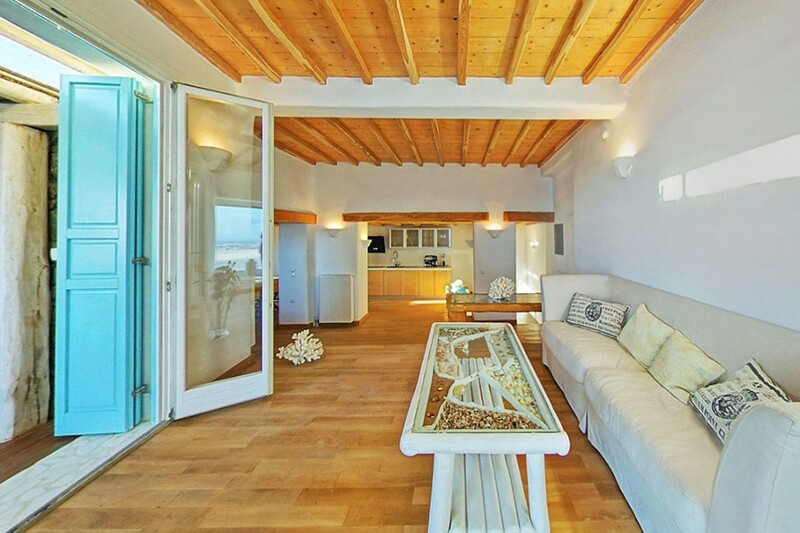 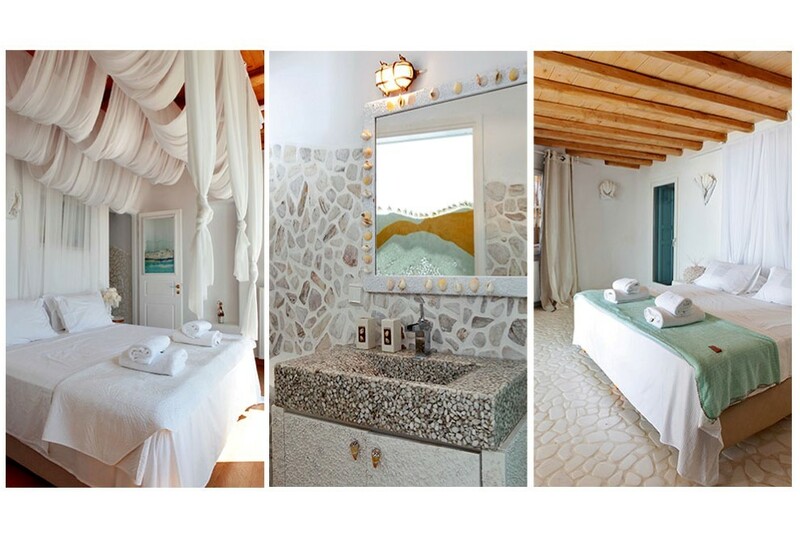 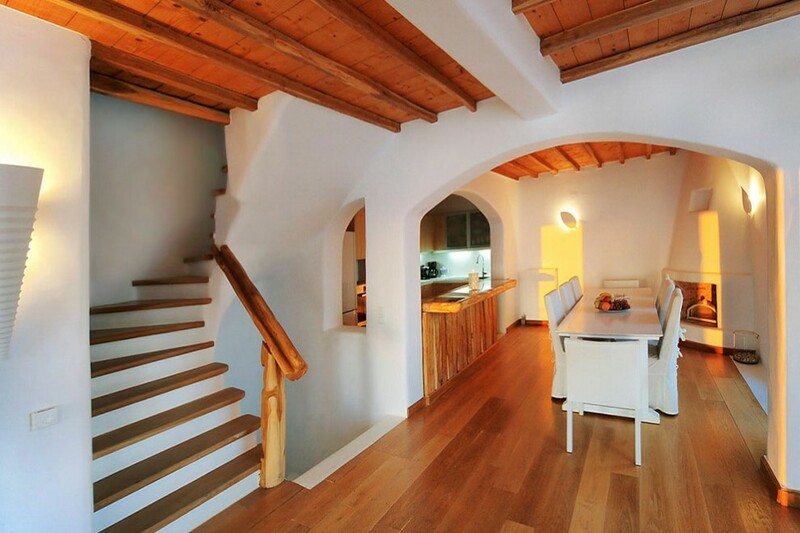 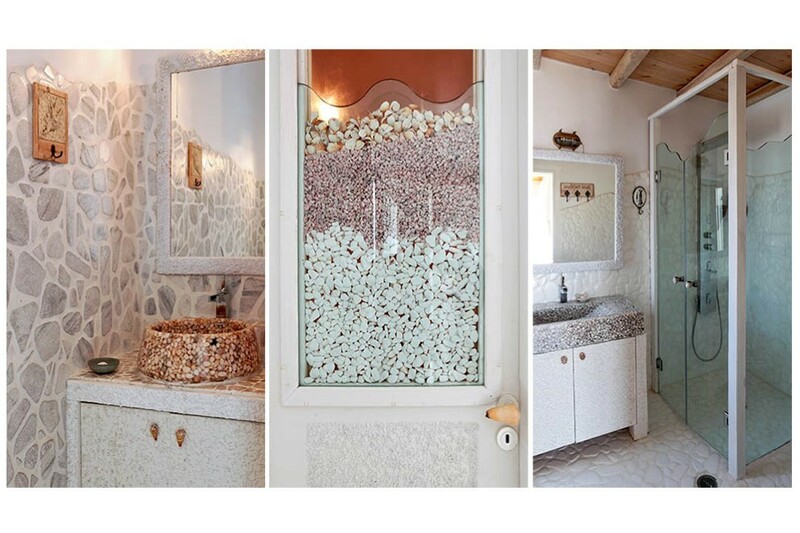 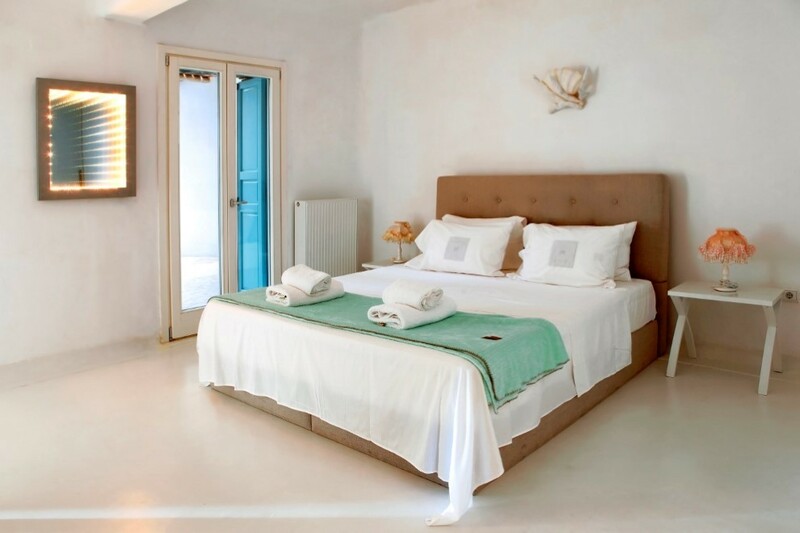 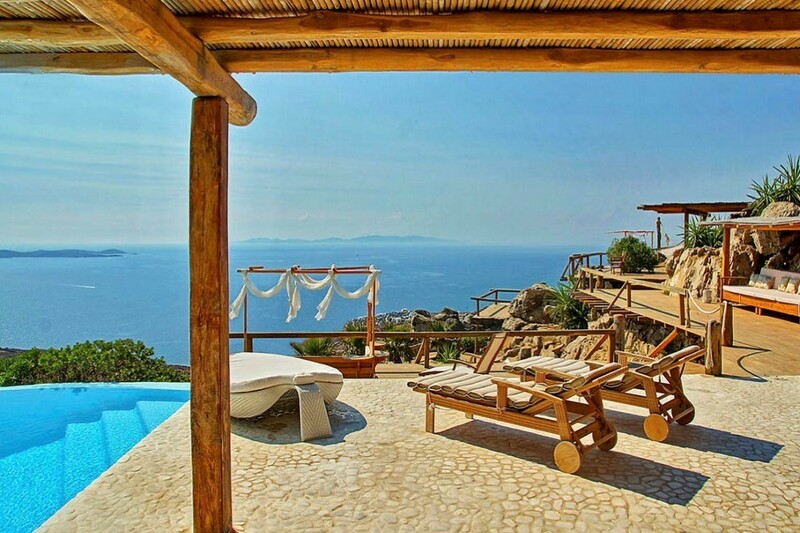 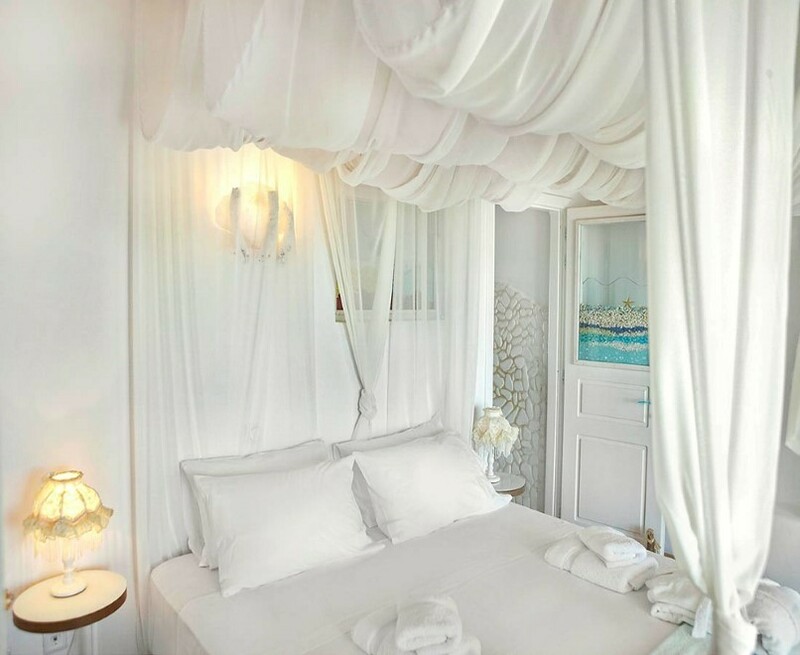 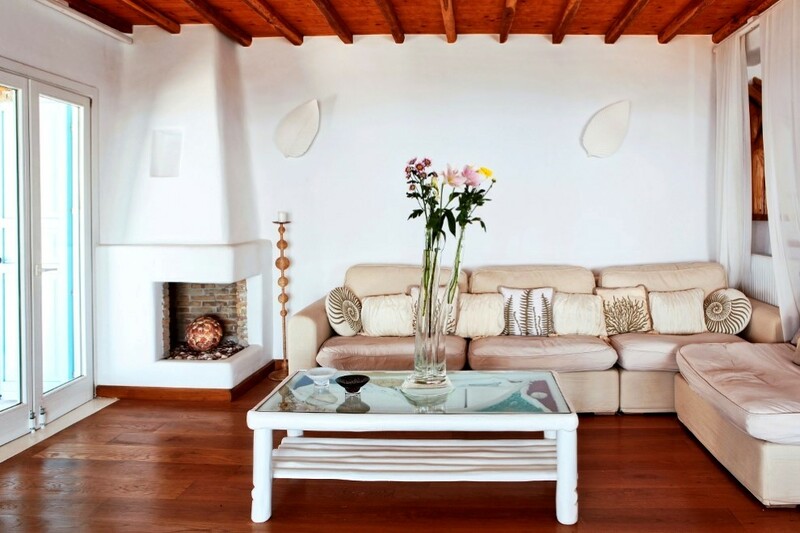 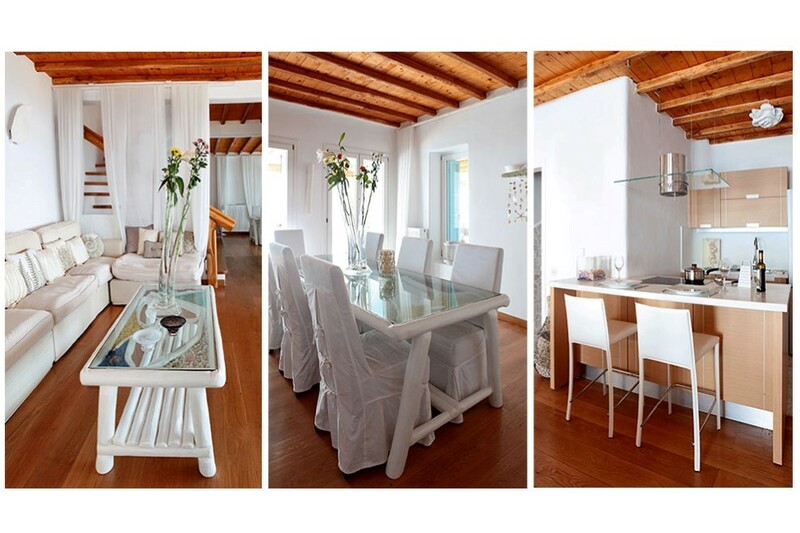 The villa has six roomy and beautifully decorated master bedrooms, four on the downstairs level and two on the first floor, all with infinite views. 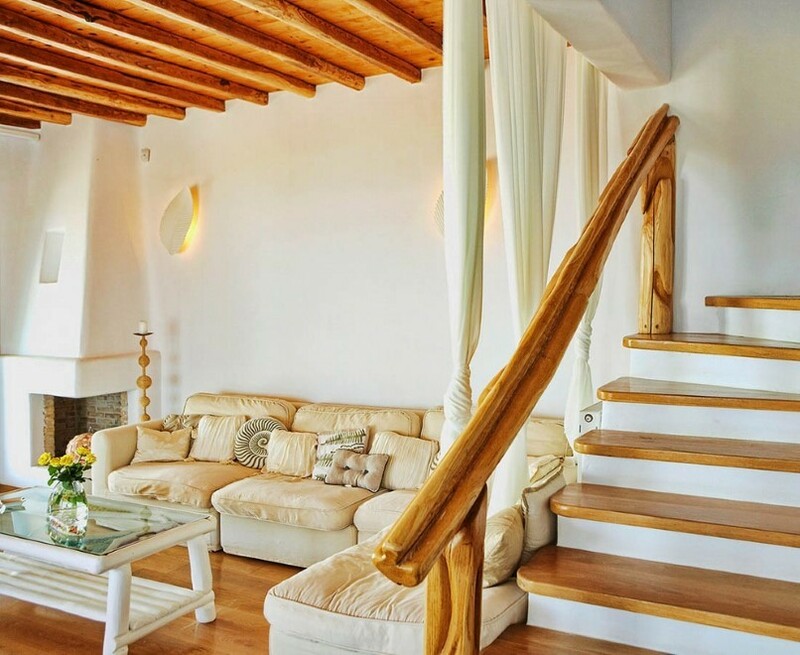 For larger parties villa “Horizon One” can be also rented in combination with any of the other three villas in the “Horizon” complex, offering comfort, luxury and independence.